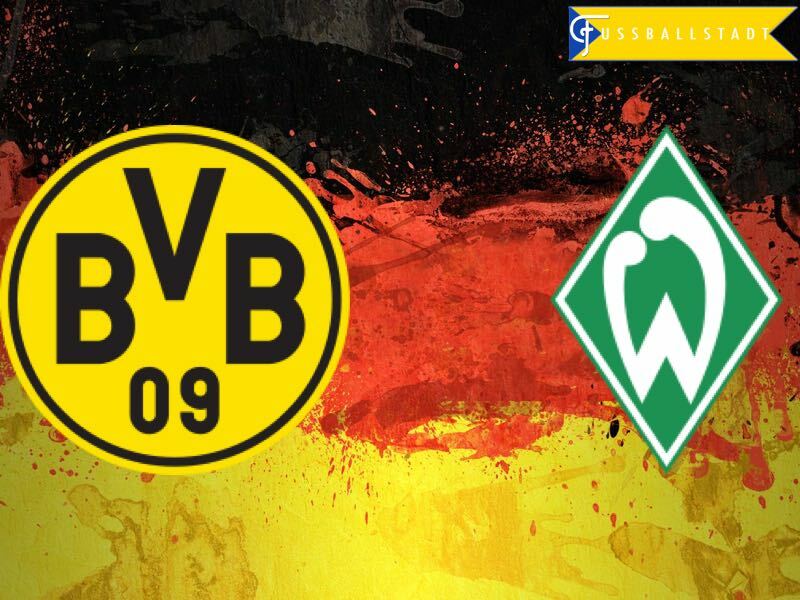 Borussia Dortmund vs Werder Bremen – Saturday 14:30BST/15:30CEST – SIGNAL IDUNA PARK Dortmund. With massive European prospects for both sides, this fixture has the potential to be the last day classic. Dortmund are tied on points with Hoffenheim, the winner on Matchday 34 will secure automatic qualification into next season’s UEFA Champions League group stage. 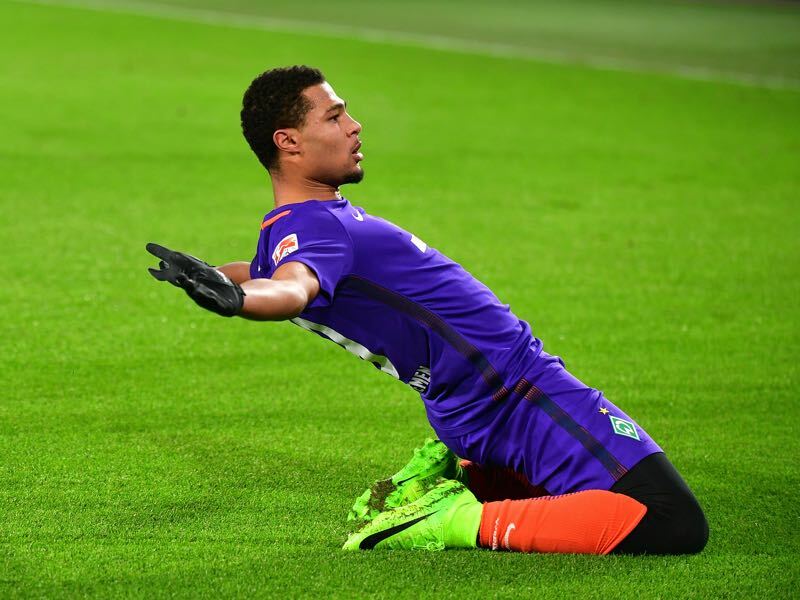 Werder meanwhile, are hoping that a win could see them sneak into the sixth place, the final Europa League slot – they require both Köln and Freiburg to have bad days. Last week’s draw with relegation-threatened Augsburg killed off any hopes the side from the Westfalenstadion had of beating RB Leipzig to the runners-up slot this season. With Thomas Tuchel reportedly under massive pressure from above, nothing but a win here will be good enough. Dortmund have had to sit back and witness a title push from RB Leipzig; the newly promoted side have taken die Schwarzgelben place as Bayern’s challengers this season. In December’s matchup, it was Lukasz Piszczek’s 71st minute right footed shot that gave Dortmund the advantage in a slim 1:2 victory. That game was the first of the Rückrunde, and it set the tone for what was to follow – the Schwarzgelben controlling fixtures but nervously searching a crucial game changing goal. The yellow and blacks are unbeaten since early April, a 4:1 destruction in the Allianz by champions Bayern the last slight on their form. After a crucial victory over fellow Champions League chasers Hoffenheim on Matchday 32, last weekend’s draw has placed an unnecessary pressure on the shoulders of Tuchel’s young team. With the Pokal Final only one week away a positive result here will enable die Schwarzgelben to relax – a return to action in early August could hamper the ambitions of season 2017/18. Alexander Nouri has overseen a remarkable Rückrunde, a return to action in January saw die Werderaner languishing in 15th place. It got slightly worse before it got better for the green-whites, four back to back defeats were eventually followed by a run of form which saw them pick up 27 points from 33 on offer. This remarkable turn of fortune has taken Werder from relegation candidates to a European possibility. Their brilliant form was spectacularly halted by Köln on Matchday 32, on the wrong side of a 4:3 scoreline Werder came away from the RheinEnergieStadion unlucky not to have at least a share of the points on offer. A late charge last weekend against Hoffenheim couldn’t stop a 5:3 defeat, two late goals at least showed that die Werderaner can concentrate until the very end. Goals from substitute Philipp Bargfrede, and right back Robert Bauer, ensured that the score finished a more respectable one. Should Werder manage to win in Dortmund, their chances of participating in next season’s Europa League will be greatly enhanced. With the right set of results in Cologne and Munich die Werderaner could find themselves in sixth. However, with Dortmund already guaranteed European football next season a win in next week’s Pokal Final in Berlin would allow the seventh-placed Bundesliga team to enter the Europa League. One final push on Matchday 34 could take Werder from obscurity in January to celebration in May. From a personal perspective, this final day fixture provides Aubameyang with a one match shootout with Robert Lewandowski for the Torjägerkanone. Separated by one goal the Gabonese striker trails Bayern’s Polish goal machine 29 to 30. When Aubameyang is in the mood he looks almost unstoppable, Werder could be in for a very long afternoon. With four goals in the last five fixtures, Aubameyang is in red hot form. Linking well with either side of the Dortmund front three he can turn provider if the situation requires – however, it is at the end of the pass from Dembélé, Pulisic and co where the striker shows his real worth. His finishing ability is one of the best in the world. 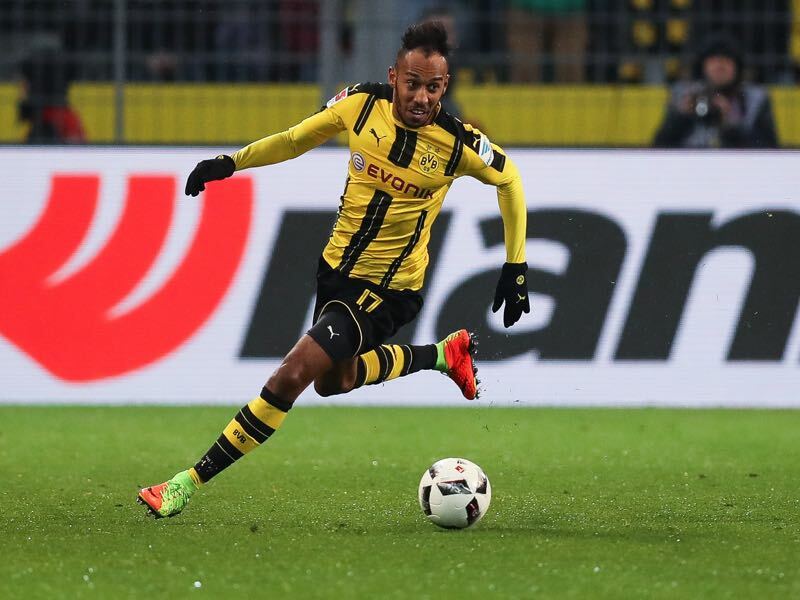 Could a final day hat-trick secure Aubameyang the highly treasured Torjägerkanone? Surplus to requirements at Arsenal it was Werder Bremen that offered Gnabry a chance to rebuild his promising career. The 21-year-old took the opportunity with both hands, 11 goals in 26 Bundesliga appearances has repaid the faith shown in him by die Werderaner. Gnabry also made his full international debut this season. Stepping up from the German U21 side, he fired in a hat-trick on his full senior debut – San Marino will not forget his performance for a long time. An exceptionally versatile midfielder he has played centrally as well as on both flanks. Unsurprisingly, for an attack minded winger his strengths lie in his ability to break at pace with the ball and cut inside. Should he be deployed in a strike role, his finishing is something to be fearful of if you are an opposition defender. 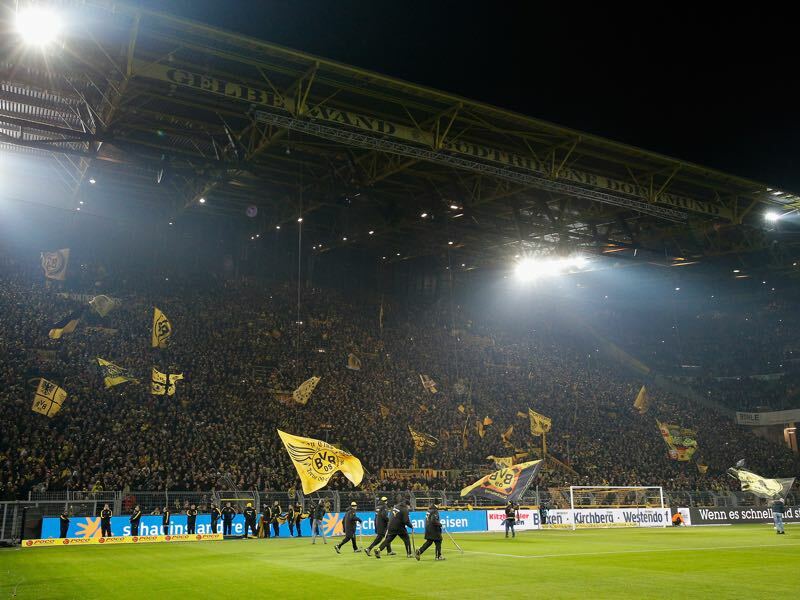 Dortmund are one match away from going unbeaten at home for two seasons. Werder have lost their last nine games at SIGNAL IDUNA PARK. Pierre-Emerick Aubameyang will look to secure the Torjägerkanone. Werder currently sit on 45 points. Their highest points tally since the 2009/10 season. This is the fifth season in a row that die Werderaner have conceded at least 60 goals.